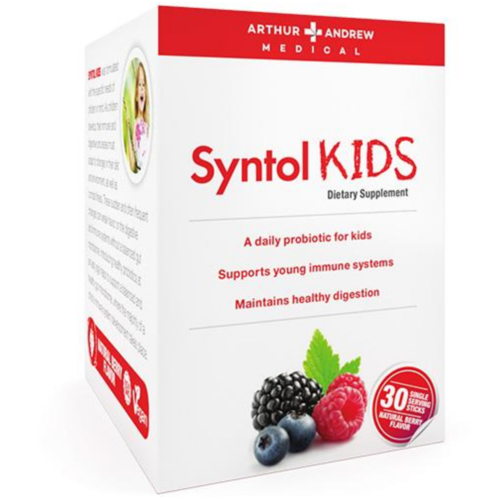 Arthur Andrew Medical Syntol Kids is a great tasting probiotic to support digestive and immune challenges in children. Yummy natural berry flavour & no refrigeration required. 3 billion colony forming units (CFUs) good bacteria per dose. Including the widely studied Lactobacillus rhamnosus GG. 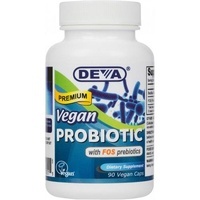 Probiotics, prebiotics and essential vitamins. A growing child's immune and digestive systems must be able to adapt to changing environments such as a change of daycare, school or diet to combat potential sickness. A large part of child's immune system is in the digestive tract, just like in adults. In fact the gut contains 70% of the bodie's immune cells. The gut is home to the body's microbiome which is a unique collection of beneficial and non-beneficial bacteria. 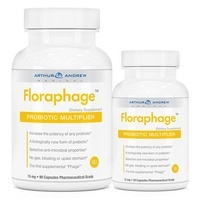 A healthy microbiome aids proper breakdown of food, nutrient absorption and helps to act as a bloodstream filter. 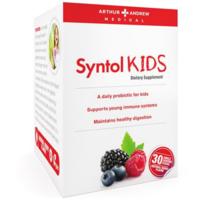 Syntol Kids provides a solution to help balance your child's digestive ecosystem. 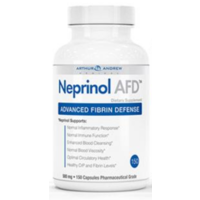 It has been scientifically formulated with a unique blend of probiotics, prebiotics and vitamins to arm your child against the many digestive and immune challenges they may face daily. 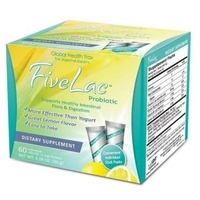 Lactobacillus rhamnosus GG is one of the most studied probiotics and has been clinically shown to improve digestive efficiency and enhance the body's natural immune defenses. 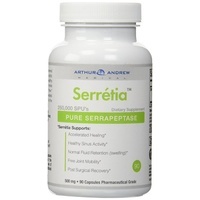 It does this by improving the gut mucosal barrier and strengthening it against pathogenic microorganisms. 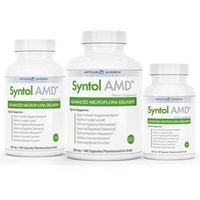 Countless studies support the safety and efficacy of this probiotic strain, including for gut distress and for strengthening a child's microbiome. 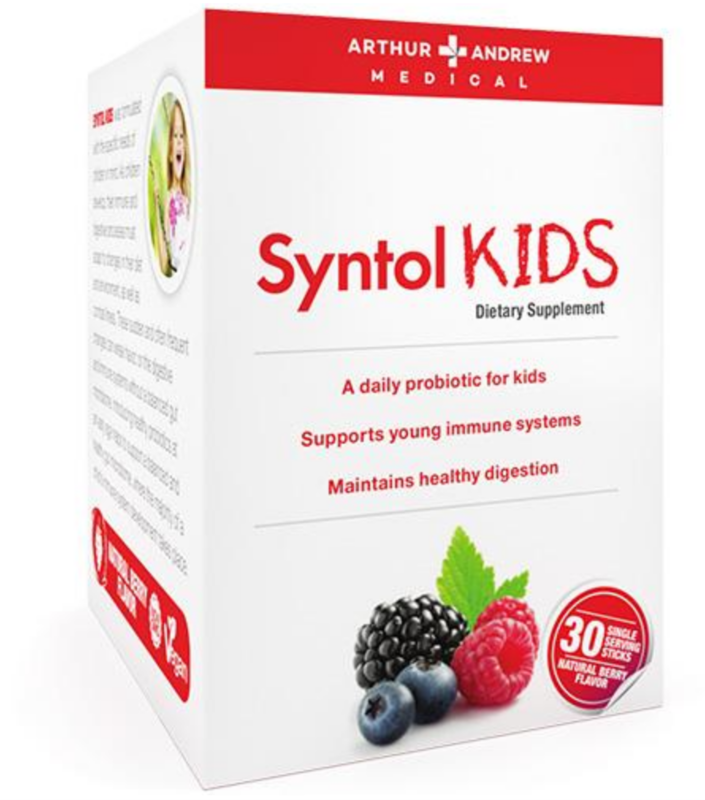 This makes it the perfect probiotic to support immune and digestive health in children. 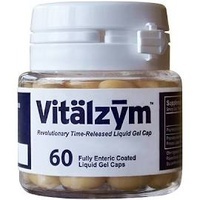 Bifidobacterium lactis BL-04 is found naturally in the intesines of babies that are breastfed and is thought to be why breastfed babies have a better resistance to illness. 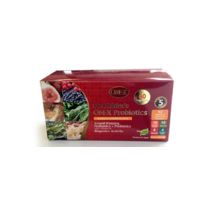 Fructooligosaccharides (FOS) are a natural, non-GMO soluble dietary fibre that acts as food for your beneficial bacteria. 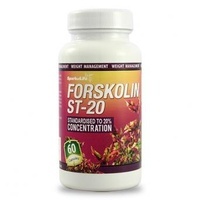 Good bacteria in the intestinal tract ferment this prebiotic fibre, which aids their growth in your digestive environment. 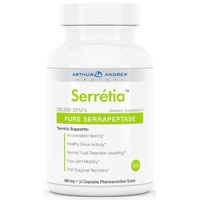 Clinical research has shown that it helps to enhance the indigenous strains of bacteria in your digestive system. Vitamin C's potent antioxidant actions support immune health and a deficiency of this key vitamin can result in poor immunity and more frequent colds. Vitamin D3 is important for many functions in the body, including supporting your child's immune health. 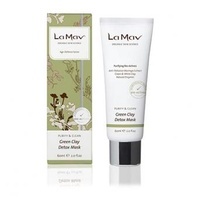 It's produced in te skin through sun exposure, so kids can easily become deficient with less time spent outdoors.